Table 1. Contributions about effectiveness evaluation of school health promotion programs. Given that lifestyleshave similar determinants and that school-based interventions are usually targeted at all the risks that affect adolescents, the objective of this systematic review was to summarize the characteristics and effects of school-based interventions acting on different behavioral domains of adolescent health promotion. The review process was conducted by two independent reviewers who searched PubMed, Scopus, PsycINFO, and ERIC databases for experimental or observational studies with at least two measures of results published from 2007 to 2011, given that the research information available doubles every 5 years. Methodological quality was assessed with a standardized tool. Information was extracted from 35 studies aiming to prevent risk behaviors and promote healthy nutrition, physical activity, and mental and holistic health. Activities were based on theoretical models and were classified into interactive lessons, peer mediation, environmental changes, parents’ and community activities, and tailored messages by computer-assisted training or other resources, usually including multiple components. In some cases, we identified some moderate to large, short- and long-term effects on behavioral and intermediate variable. This exhaustive review found that well-implemented interventions can promote adolescent health. These findings are consistent with recent reviews. Implications for practice, public health, and research are discussed. Dado que los estilos de vida tienen similares determinantes, y las intervenciones escolares suelen estar dirigidas a todos los riesgos que aparecen durante la adolescencia, el objetivo de esta revisión sistemática ha sido resumir las características y los efectos de intervenciones escolares de promoción de la salud dirigidas a diferentes áreas de conducta. La revisión se realizó por dos evaluadores que independientemente realizaron una búsqueda en las bases de datos PubMed, Scopus, PsycINFO, y ERIC, de estudios observacionales y experimentales con al menos dos medidas de resultados, publicados entre 2007 y 2011, pues la información científica disponible se duplica cada cinco años. La calidad metodológica se evaluó con herramientas estandarizadas. 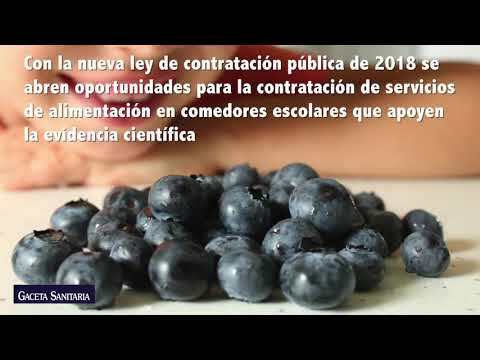 Se recogió información de 35 estudios dirigidos a promover la nutrición saludable y la actividad física, promover la salud mental y holística,y prevenir conductas de riesgo. Las actividades se basaron en distintos modelos teóricos y se calificaron en lecciones interactivas, mediación por pares, cambios ambientales, actividades con padres y comunidad, atención “a medida” asistida por el ordenador u otros recursos, con frecuencia incluyeron múltiples componentes. En algunos casos, se encontraron de moderado a largos efectos, a corto y largo plazo sobre variables comportamentales e intermedias. La fortaleza de esta revisión es que se ha llevado a cabo de modo exhaustivo, y apunta a que intervenciones bien implementadas pueden promover la salud adolescente. Los hallazgos son consistentes con revisiones recientes, y sus implicaciones para la práctica, la salud pública, y la investigación han sido discutidos. This is a systematic review across different behavioural domains since they have similar determinants, and school-based interventions usually deal with all risks that affect adolescence. We questioned ¿What are the main characteristics of recent school-based health promotion and risk prevention interventions targeted to adolescents? ¿What are their main effects? The objective was to summarize characteristics and effects of school-based interventions leading to behaviours such as nutrition, physical activity, mental and holistic health, and risk prevention (eating disorders, substance use, sexuality, violence and road safety). In February 2012 a search was performed in PubMed, PsycINFO, ERIC and Scopus, for both review and original articles. Revised databases include relevant information on health, psychology, education and multidisciplinary sciences. Since research information is updated every five years and previous works become obsolete,12,13 we considered articles published from 2007.01.01 to 2011.12.31. The following search terms: adolescent, program evaluation, health promotion, and whenever it was possible the thesaurus tool were used (complementary material: table I). We considered getting in touch with authors if there were doubts or difficulty in retrieving full-text. Reference lists of both original and meta-analytic articles selected were verified to identify additional studies which reached inclusion criteria. These were English, Spanish, and Portuguese languages, with abstract, quantitative experimental or observational studies in which an intervention group was compared at least twice (pretest and posttest), interventions aimed at healthy adolescents (11-17 years) without specific illness or risks (such as substance consumers, mental disorders or obese), the primary interventions were conducted at school, and the article had a moderate to strong score in quality assessment. In the final sample, exclusion criteria were different to original and had weak quality scores. The standardized quality assessment tool of Effective Public Health Practice Project was used.14 Eight components were scored (weak/moderate/strong): (1) Selection bias, (2) study design, (3) confounders, (4) blinding, (5) data collection, (6) withdrawals and drop-outs, (7) intervention integrity, and (8) analysis. When there were multiple publications for the same study a project account was created. The most important information was extracted and summarized in tables attending the following categories: health nutrition and physical activity, mental and holistic health, and risk prevention interventions. Regarding the sustainability, we considered population and setting, whether outcomes were measured over multiple time points and at short or long-term. Regarding the applicability we also reviewed if effect varied across different populations and settings.15 Whenever it was possible, the following subcategories were identified: reference (author, year), study characteristics (design, randomized level, country, population, follow-ups, number of variables, participants’ age), intervention characteristics (setting, objectives, theoretical framework, implementation characteristics), main effects (only those that p<.05). When it was possible, Cohen's d was calculated.16 We considered 0.2 low, 0.5 moderate, and 0.8 large effect. When offered, we used odds ratio (1.50 low, 3.50 moderate, 9.00 large effect), and R2 (0.01 low, 0.06 moderate, 0.14 large effect).17 However, given the heterogeneity of studies regarding interventions, participants, outcome measures, no pooled effect sizes were calculated but a narrative systematic review was performed. 537 abstracts were identified. Subsequently, 64 full-text articles were retrieved (Fig. 1), and finally, 56 projects were selected. The reasons for exclusion were: participants were not 11 to 17 years-old, interventions were not primary based on school, were aimed to illness or in risk adolescents, result measures were not shown, or there was only one measure. The quality of the 56 projects was evaluated and 21 weak ones were excluded. The main limitations were small sample size that was inadequately explained, no control for potentially confounders, no binding, high percentage of drop-outs, and no reliable instruments. Finally, data were extracted from 35 projects (Table 1); they were classified into three categories. Thus 12 aimed at nutrition and physical activity; eight at mental and holistic health; and 15 at prevent risk behaviours (supplementary material: Tables II to IV). Contributions about effectiveness evaluation of school health promotion programs. 18 Norway; Quasi-experimental two-group; 1,950; 6° and 7° graders; School; Ecological Model. 19 USA; Quasi-experimental two-group, 146; Female secondary students; School; Social-cognitive theory. 20,21 Belgium; Experimental three-group; 2,849; 7° and 8° graders; School; family; Health promotion. 22 USA; Quasi-experimental one-group; 48; 14 to17 year-old; School; Health promotion (Sidani y Braden). 23 Iran; Experimental four-group; 166; Female 9° and 10° graders; School, family; Health promotion (Pender); Trans-theoretical model. 24 USA; Observational repeated measures one-group, 3,502; Female 6° to 8° graders; School, community; Operant learning, social cognitive, ecological theories. 25 Portugal; Experimental; 291; 6° and 7° graders; School, family; Social cognitive, self-regulation and planning theories. 26 England; Experimental; 235; 14 to16 year-old; School; Self-determination theory. 27 USA; Experimental; 2,311; 7° and 8° graders; School; Social-cognitive, participative action theories. 28 The Netherlands; Experimental; 1,108; 12 to 14 year-old; School; Theory: Not said. 29 USA; Experimental; 2,120; 6° graders; School; Theory: Not said. 30 USA; Experimental; 1,800; 9° to 11° graders; School; Trans-theoretical model. 31 Austria; Quasi-experimental two-group; 458; 5° to 8° graders; School, family; Stress management (Lazarus & Meichenbaum) theory. 32 Sweden; Quasi-experimental four-group; 1,003; 4° to 7° graders; School, family; Social and emotional training. 33 Germany; Quasi-experimental four-group: 904; 8° and 9° graders; School. Social skills training. 34-36 China; Experimental; 6,656; 7° to 10° graders; School; Positive development theory. 37 England; Experimental; 614; 7° graders; School, family; Theory: Not said. 38 USA; Experimental; 190; 6° graders; School; Theory: Not said. 39 The Netherlands; Quasi-experimental two-group; 954; 13 to 17 year-old; School; Social learning, rational emotive and competence learning. 42 Canada; Experimental; 1,438; 6 and 7° graders; School, family, community; Social Cognitive, feminist, ecological theories. 43 Spain; Experimental; 323; 8° female graders; School; Social-cognitive theory. 44 Australia; Quasi-experimental two-group; 277; 7° graders; School; Theory: Not said. 45 Germany; Quasi-experimental two-group; 887; 6° female graders; School, family; Theory: Not said. 46 USA; Experimental; 1,492; 6° & 7° graders; School, community; Social influence, ecological theories. 47 England; Experimental; 508; 6° graders; School; Targeted cognitions and preparatory actions or skills. 48 USA; Quasi-experimental two groups; 422; Secondary students; School; Social influence theory. 49 USA; Experimental five-group; 662; Secondary students; School; Social cognitive, planned behaviour reasoned action theories. 50 Greek; Experimental; 741; Secondary students; School; Health promotion. 55 England and Wales; Experimental; 10,047; 12 to13 years-old; School; Social influence theory. 56 USA; Experimental; 4,259; 6° graders; School, family, community; Social influence theory, health promotion (Perry). 57,58 European Union; Experimental; 7,079; 12 to 14 years-old; School, family; Social influence theory. 59 India; Quasi-experimental two-group; 11,748; 6° and 8° graders; School; Social Cognitive theory. 60 USA; Experimental; 5,782; 7° & 8° graders; School; Theory: Not said. The projects were manly conducted in Europe (N=17), and the United States (USA) (N=12). The participants were around 13 mean of age. Specifically, four studies were orientated to female students, two to rural communities, and two to Afro-American students. The majority were experimental (N=24) or quasi-experimental (N=10), where one experimental group (EG) was compared to a control group (CG) that delivered its habitual curriculum (N=28). In addition, two studies applied qualitative methodology in order to complement quantitative results. In six projects two measures were carried out, although Shek and cols34 delivered posttest measures after two years of intervention. 15 projects had three measures, in 12 of them were delivered in short-term (10 weeks to 12 months), while in the rest in long-term (mostly two years). Nine projects had more measures, where the latest was carried in long term (two/three-year follow-up). Population size was very variable between 48 participants22 and 11,748 participants55 at pretest. The majority were based on theoretical models of behaviour change (N=24), i.e., social cognitive theory,19,24,25,27,40–43,49,51–54,58 trans-theoretical model,23,30,51–54 theory of planned behaviour,39–41,51–54 self-regulation and planning theory,25 self-determination theory,26 health promotion (Sidani and Braden's, Pender's, Perry's models),20–23,50,56 social influence models,46,48,51–54 ecological models,18,24,42,46 psycho-social training,33,33,39,42 or positive youth development,34,36 among others. The activities were implemented into six areas, i.e., interactive lessons, peer mediation, improving accessibility by environment changes, activities with parents, activities with community, and tailored message by computer-assisted training or other resources. Regarding applicability, five interventions were based on programs previously evaluated in other contexts. For instance, Hampel and cols,31 carried out an intervention previously performed in a clinical environment; Richardson and cols44 adapted an intervention from a community context in United Kingdom to schools in Australia; Jemmot and cols40,41,49 performed a similar intervention in different contexts (USA African-American and South-African students) but did not compare these; Komro56 and cols adapted an intervention from a rural to an urban environment; and Campbel55 and cols adapted an intervention targeted to sexual health to a smoking prevention domain. Subsequently, Sheck y cols34–36 and Wick y cols45 performed dissemination studies to evaluate interventions previously piloted in real-settings. Finally, Germeni y cols50 and De Vries and cols51–54 performed their interventions in different settings. Germeni y cols50 carried out theirs in three types of schools (public, private and vocational) and found that effect was more favourable at vocational and public schools than at private schools. De Vries and cols51–54 performed their intervention in different countries, and found some differences in outcomes regarding the country of origin. Regarding applicability, although most interventions were performed in a wide number of schools with large populations, only two studies compared an intervention in different contexts. De Vries and cols51–54, compared their program in different countries across Europe and found some disparity effects that were explained by administrative difficulties, design limitations (regarding response rates or random assignment), and although it was based on core objectives and methods many differences appeared amongst countries.51 Germeni y cols50 also found some disparity effect across school types that were explained by the characteristics of the population, and other school-related factors. This review has some implications for practice and research. Since school-based interventions are associated with some positive effects, should be continued and encouraged by public health institutes; and health promotion contents would be included more frequently in student curriculums.6There is enough evidence to encourage delivering school-based interventions based on theories about behavioural change o health promotion. There is some evidence that encourages performing interventions that promote environmental changes, dealing with social influence and improving cognitive, emotional and behavioural skills. Since the fact that similar domains were found in the areas reviewed, it would be interesting performing integrative interventions aimed at whole risks that affect adolescence. On the other hand, assisted computer and on-line intervention must be studied more. There are many gaps in the literature that may be researched. It is necessary to find out which the main variables are that influence behavioural change in order to develop health promotion programs to intervene in said variables. It is required both to implement and evaluate (process and effect) interventions that include named evidence in a comprehensive way, and participatory action research may be useful in this kind of research. Thus, since it is very important to promote health and prevent risk in adolescence, it is necessary to take notice of research related to school-based intervention as a major priority and recognize the need to fund projects in this research field. Health promotion programs are performed at schools to prevent unhealthy lifestyles in Adolescence. Different systematic reviews have been carried out to evaluate the effect of school health promotion programs regarding different domains, which found some positive effects of variable magnitude. This is a comprehensive systematic review across different behaviour domains since they have similar determinants, and school-based interventions deal with whole risk that affects adolescence. We showed the main effects of interventions regarding to physical activity, nutrition, mental and holistic health, and risk behaviours. It points to well-implemented programmes may reduce risks in adolescence. We declare that both authorshave made substantial contributions to all of the following: (1) the conception and design of the study, or acquisition of data, or analysis and interpretation of data, (2) drafting the article or revising it critically for important intellectual content, (3) the final approval of the version to be submitted. C. Meneses, A. Rua, N. Romo, et al. Co-occurrence of risk behaviors among Spanish adolescents. Getting worse: the stigmatization of obese children. M. Dobbins, K. De Corby, P. Robeson, et al. School-based physical activity programs for promoting physical activity and fitness in children and adolescents aged 6-18. L.W.H. Peters, G. Kok, G.T.M. Ten Dam, et al. Effective elements of school health promotion across behavioral domains: a systematic review of reviews. C.D. Summerbell, E. Waters, L.D. Edmunds, et al. Interventions for preventing obesity in children. F. Faggiano, F.D. Vigna-Taglianti, E. Versino, et al. School-based prevention for illicit drugs use: a systematic review. A. Fletcher, C. Bonell, J. Hargreaves. School effects on young people's drug use: A systematic review of intervention and observational studies. H.K. Park-Higgerson, S.E. Perumean-Chaney, A.A. Bartolucci, et al. The evaluation of school-based violence prevention programs: a meta-analysis. J.Teaching and assessing the database searching skills of student nurses. Criteria for the systematic review of health promotion and public health interventions. Evaluación de resultados clínicos (II): las medidas de la significación clínica o los tamaños del efecto. E. Bere, M.B. Veierød, Skare Ø., et al. Free school fruit- sustained effect three years later. G.F. Dunton, M. Schneider, D.M. Cooper. An investigation of psychosocial factors related to changes in physical activity and fitness among female adolescents. L. Haerens, I. Bourdeaudhuij, L. Maes, et al. The effects of a middle-school healthy eating intervention on adolescents’ fat and fruit intake and soft drinks consumption. School-based randomized controlled trial of a physical activity intervention among adolescents. Efficacy of a school-based cardiac health promotion intervention program for African-American adolescents. P. Taymoori, S. Niknami, T. Berry, et al. A school-based randomized controlled trial to improve physical activity among Iranian high school girls. L.S. Webber, D.J. Catellier, L.A. Lytle, et al. Promoting physical activity in middle school girls: trial of activity for adolescent girls. V. Araújo-Soares, T. McIntyre, G. MacLennan, et al. Development and exploratory cluster-randomised opportunistic trial of a theory-based intervention to enhance physical activity among adolescents. Effects of an intervention based on self-determination theory on self-reported leisure-time physical activity participation, Psychol Health. D. Dzewaltowski, P.A. Stabrooks, G. Welk, et al. Healthy youth places: a randomized controlled trial to determine the effectiveness of facilitating adult and youth leaders to promote physical activity and fruit and vegetable consumption in middle schools. A.S. Singh, Chin A., M.J. Paw, J. Brug, et al. Dutch obesity intervention in teenagers. Effectiveness of a school-based program on body composition and behavior. T. Forneris, E. Fries, A. Meyer, et al. Results of a rural school-based peer-led intervention for youth: Goals for Health. L.M. Mauriello, M.M.H. Ciavatta, A.L. Paiva, et al. Results of a multi-media multiple behavior obesity prevention program for adolescents. P. Hampel, M. Meier, U. Kümmel. School-based stress management training for adolescents: longitudinal results from an experimental study. B. Kimber, R. Sandell, S. Bremberg. Social and emotional training in Swedish classrooms for the promotion of mental health: results from an effectiveness study in Sweden. Stress-prevention in secondary schools: online- versus face-to-face-training. D.T.L. Shek, A.M.H. Siu, T.Y. Lee, et al. Effectiveness of the tier 1 program of project P.A.T.H.S. : objective outcome evaluation based on a randomized group trial. D.T.L. Shek, H.K. Ma, R.C. Sun. Interim evaluation of the tier 1 program (secondary 1 curriculum) of the project P.A.T.H.S. : first year of the full implementation phase. Using students’ weekly diaries to evaluate positive youth development program. C.P. Bonell, A.M. Sorhaindo, E.E. Allen, et al. Pilot multi-method trial of a school-ethos intervention to reduce substance use: building hypotheses about upstream pathways to prevention. T.M. Cousineau, D.L. Franko, M. Trant, et al. Teaching adolescents about changing bodies: randomized controlled trial of an internet puberty education and body dissatisfaction prevention program. C. Gravesteijn, R. Diekstra, M. Sklad, et al. The effects of a Dutch school-based social and emotional learning programme (SEL) on suicidality in adolescents. J.B. Jemmott III, L.S. Jemmott, A. O’Leary, et al. School-based randomized controlled trial of an HIV/STD risk reduction intervention for South African adolescents. Cognitive-behavioural health-promotion intervention increases fruit and vegetable consumption and physical activity among South African adolescents: a cluster-randomised controlled trial. G. McVey, S. Tweed, E. Blackmore. Healthy Schools-Healthy Kids: A controlled evaluation of a comprehensive universal eating disorder prevention program. R.M. Raich, M. Portell, M.A. Peláez-Fernández. Evaluation of a school-based programme of universal eating disorders prevention: Is it more effective in girls at risk?. S.M. Richardson, S.J. Paxton, J.S. Thomson. Is Body Think an efficacious body image and self-esteem program. K. Wick, C. Brix, B. Bormann, et al. Real-world effectiveness of a German school-based intervention for primary prevention of anorexia nervosa in preadolescent girls. Efficacy of a randomized trial of a community and school-based anti-violence media intervention among small-town middle school youth. School-based, randomised controlled trial of an evidence-based condom promotion leaflet. A.F. Lemieux, J.D. Fisher, F. Pratto. A music-based HIV prevention intervention for urban adolescents. J.B. Jemmott III, L.S. Jemmott, G.T. Fong. Efficacy of a theory-based abstinence-only intervention over 24 months: a randomized controlled trial with young adolescents. E. Germeni, C. Lionis, V. Kalampoki, et al. Evaluating the impact of a school-based helmet promotion program on eligible adolescent drivers: different audiences, different needs?. H. De Vries, F. Dijk, J. Wetzels, et al. The European Smoking prevention Framework Approach (ESFA): effects after 24 and 30 months. E. Vartiainen, M. Pennanen, A. Haukkala, et al. The effects of a three-year smoking prevention programme in secondary schools in Helsinki. C. Ariza, M. Nebot, Z. Tomás, et al. Longitudinal effects of the European smoking prevention framework approach (ESFA) project in Spanish adolescents. P.D. Vitoria, A.S. Silva, H. De Vries. Longitudinal evaluation of a smoking prevention program for adolescents. R. Campbell, F. Starkey, J. Holliday, et al. An informal school-based peer-led intervention for smoking prevention in adolescence (ASSIST): a cluster randomized trial. K.A. Komro, C.L. Perry, S. Veblen-Mortenson, et al. Outcomes from a randomized controlled trial of a multi-component alcohol use preventive intervention for urban youth: Project Northland Chicago. F. Faggiano, M.R. Galanti, K. Bohrn, et al. The effectiveness of a school-based substance abuse prevention program: EU-Dap cluster randomised controlled trial. F. Vigna-Taglianti, S. Vadrucci, F. Faggiano, et al. Is universal prevention against youths’ substance misuse really universal? Gender-specific effects in the EU-Dap school-based prevention trial. C.L. Perry, M.H. Stigler, M. Arora, et al. Preventing tobacco use among young people in India: Project MYTRI. C.L. Ringwalt, H.K. Clark, S. Hanley, et al. Project ALERT: a cluster randomized trial.